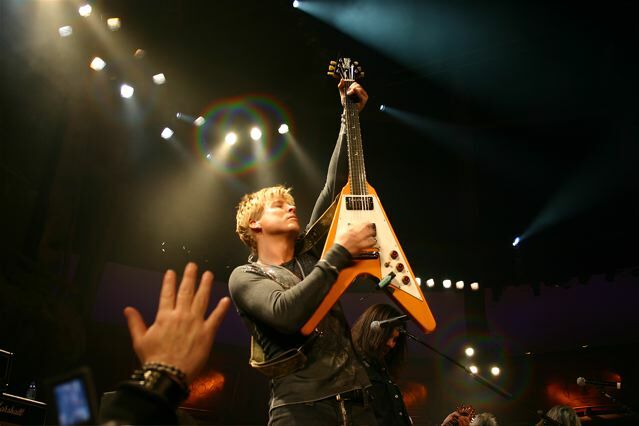 Celebrity rocker Gunnar Nelson announces his new philanthropic endeavor, Rockfessions, to benefit St. Jude Children's Research Hospital®, one of the world's premier pediatric cancer research centers. Celebrity rocker Gunnar Nelson announced his new philanthropic endeavor, Rockfessions, to benefit St. Jude Children's Research Hospital®, one of the world's premier pediatric cancer research centers. 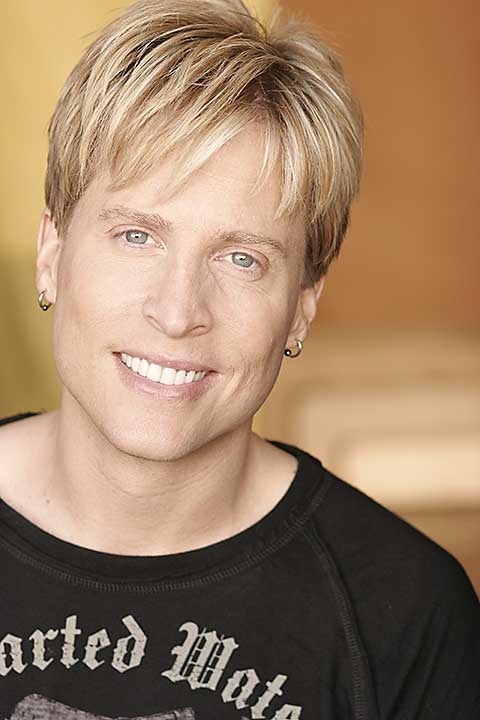 Gunnar Nelson is one of the identical twin sons of Rock'n'Roll Legend Ricky Nelson, and grandson of TV's Ozzie & Harriet Nelson of the Nelson family, the only family in history with 3 generations of #1 hitmakers. Gunnar's internationally known rock group NELSON, with twin brother Matthew, has written and performed NELSON's #1 hits including "Love and Affection", "After the Rain", and "More Than Ever" and has sold over 4 million albums worldwide. NELSON, the original rock band (and a staple of MTV) recently reunited touring for the first time in 15 years this summer. Gunnar is also a standout reality TV star from VH1's "Celebrity Fit Club". Rockfessions.com, the home to ROCKFESSIONS, is a unique forum celebrating the rock and roll experience and allows people to share their "secret rock confessions" creatively. Those passionate about Rock and Roll - music, artists or Rock culture - can create and submit a "Rockfession" (secret rock confession) on a 4x6 postcard size piece of paper or a photo in support of St. Jude and win prizes in the process. For every "Rockfession" submission, a donation is made to St. Jude. Rockfessions will be collected from all over the world with the goal of creating materials such as greeting cards, books, and T shirts with proceeds going to help St. Jude find cures and save children. "St. Jude Children's Research Hospital is synonymous with hope. When I visited the hospital a few months ago I learned at St. Jude 'no child is ever turned away due to an inability to pay'. They openly share their research findings worldwide, so it's clear to me that they want to CURE, not just treat. And most surprising of all is how little it feels like a hospital when you're there- the emphasis is on keeping the kids and their families focused on feeling as safe, hopeful, and healthy as possible," enthuses Gunnar. "If you visit, there's no way you can come away from the experience and NOT have a burning desire to get involved. The hospital's daily operating costs exceed $1.3 million. So I'm positively thrilled to be able to support St. Jude through this fun and creative project, Rockfessions. I finally get the chance to use my loves of music and connection to do some good on a planetary scale". 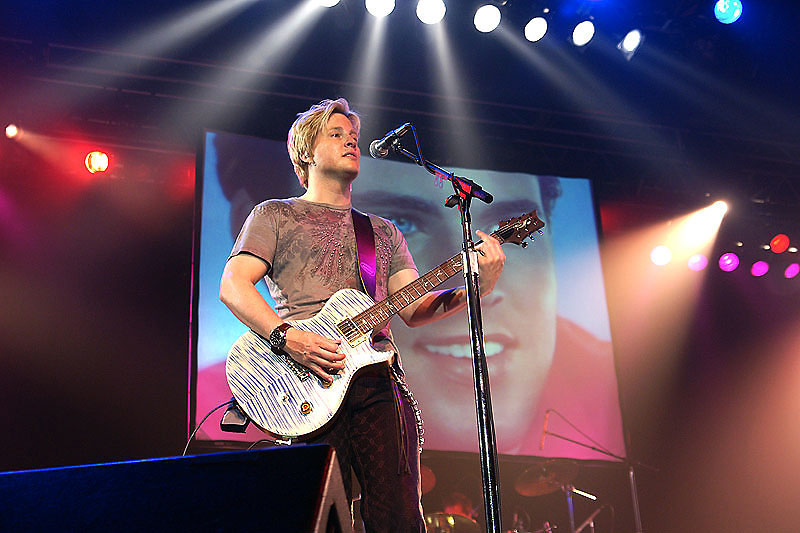 "With Rockfessions, Gunnar Nelson has created a wonderfully unique way to support the lifesaving work of St. Jude," says David L. McKee, chief operating officer and interim CEO of ALSAC, the fundraising organization of St. Jude. 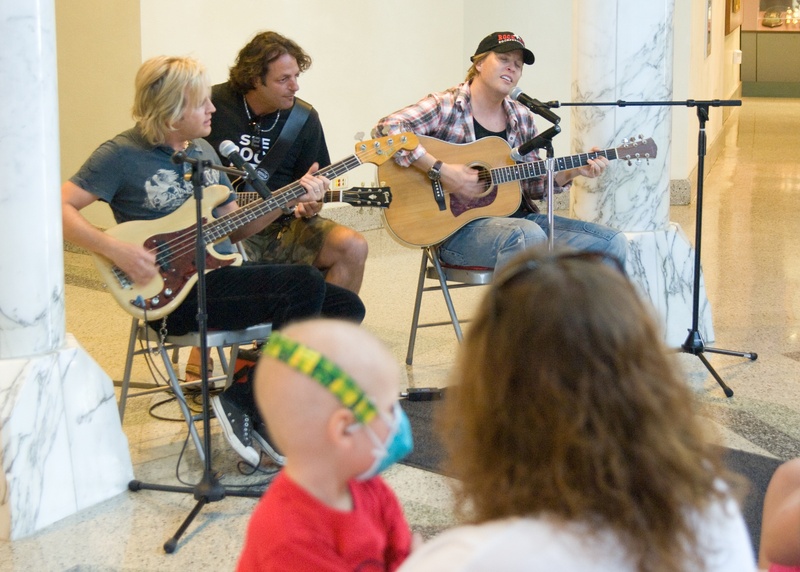 "I'm certain Gunnar's heartfelt desire to help St. Jude will encourage music fans to visit Rockfessions.com and will inspire hope in our precious patients and their families in the battle against cancer and other catastrophic diseases." Gunnar has experienced first-hand what it's like to have to watch someone he loves fight for their life. Gunnar's grandfather Ozzie succumbed to cancer in 1975 and his sister Tracy battled Hodgkin's lymphoma in 1990. For years, Gunnar had been an active supporter of Fans Care for St. Jude Kids, a St. Jude fundraising program involving the fans of music artists and celebrities. With the creation of ROCKFESSIONS with writer Nikki Moustaki, MA, MFA, Gunnar will take his support of this inspired organization and their shared desire to help others to a whole new level. "I like to think of the ROCKFESSIONS project as the modern version of a patchwork quilt, an ever-expanding art project of love and personal expression. And with the help of the internet, I can envision ROCKFESSIONS going global - reaching closeted artists and driven philanthropists worldwide who will submit a small piece of their personal creativity on a simple postcard," adds Gunnar. "Nothing feels better than showing off a little bit of what's made you who you are for all the world to see... well... except helping kids who need your love and support, that is. "I'm amazed at how creative everyone is- we all seem to have a hidden Picasso within us who's dying to get out. The Rockfessions we've already received are truly stunning," enthuses Gunnar. "Some make you scratch your head, some make you tear up, and some make you laugh out loud. But all of the submissions are humbling in the sense that they remind us that we are all united by our passion for the music that's brought so much color to our lives, and by our desire to see the day when no child is ever sick again. No matter who or where you are in the world, who you pray to, or what politics you believe in, music is the universal language of love. A Rockfession is the physical embodiment of a person's unique sense of sound, sight, and emotion coming together in a very concentrated form- specifically created with the sole intention of spreading hope and healing. Simply put: It's the most powerful postcard you'll ever write." For more information on ROCKFESSIONS, visit http://www.Rockfessions.com or email Rockfessions @ mac.com. Visit Gunnar Nelson's official website at http://www.NelsonRockBand.com. To arrange press interviews with Gunnar Nelson, please contact Liz Motley at (786) 897-7414 or NelsonTour @ aol.com. St. Jude Children's Research Hospital is internationally recognized for its pioneering work in finding cures and saving children with cancer and other catastrophic diseases. St. Jude is the first and only pediatric cancer center to be designated as a Comprehensive Cancer Center by the National Cancer Institute. Founded by late entertainer Danny Thomas and based in Memphis, Tenn., St. Jude freely shares its discoveries with scientific and medical communities around the world. St. Jude is the only pediatric cancer research center where families never pay for treatment not covered by insurance. No child is ever denied treatment because of the family's inability to pay. St. Jude is financially supported by ALSAC, its fundraising organization. For more information, please visit http://www.stjude.org.